Excellent, love the blue tones! Beautiful with the blue tones! Beautiful! Love the color tones! 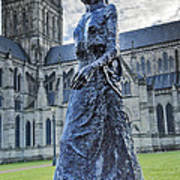 The walking Madonna statue by Elizabeth Frink is situated in the grounds of Salisbury Cathedral in Wiltshire, England. The statue is one a many scattered around the grounds of this magnificent building. 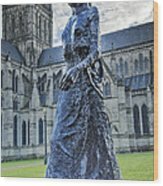 Elizabeth Frink died in 2005 and The Walking Madonna which was sculptured in 1981 is said to be the only statue she made of a woman. Salisbury Cathedral in Wiltshire, England was built starting from 1220 - 1320. 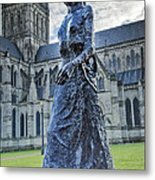 It has the tallest spire in England at 404 ft. 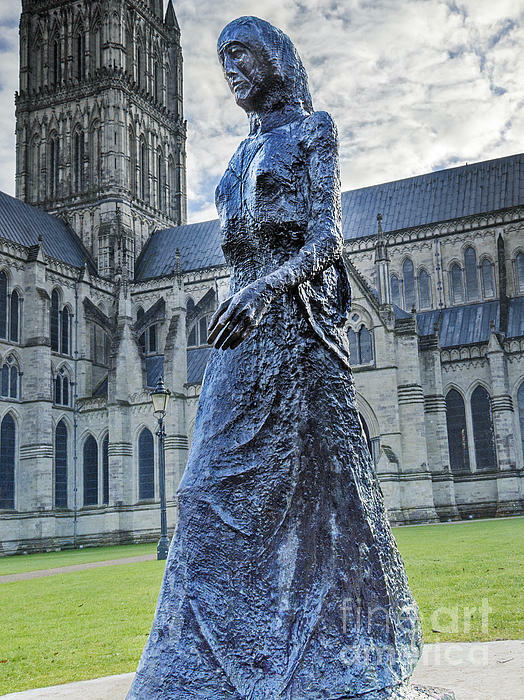 The Cathedral is home to one of the four remaining works of the Magna Carta issued by King John in 1215. Translation for Magna Carta is 'Great Charter' The Cathedral is also home to the world's oldest working clock circa 1386.